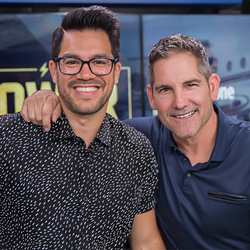 Tai Lopez is a social media giant and he’s got the knowledge to help people build massive success in life. I’m proud to have him at 10XGrowthCon. New York Times Bestselling author and self-made multimillionaire Grant Cardone has just announced investor Tai Lopez is joining the 10X Growth Conference—the most anticipated business and entrepreneurial event of 2018. The conference will be held at the Mandalay Bay Resort in Las Vegas, Nevada next February 22-24. Tai Lopez has become a celebrity through social media. His educational business programs include "how- to" material on real estate, wealth building, success, branding, and social media marketing. Cardone urges people to think big and join him for what is going to be the most memorable, game-changing experience of their life. Top entrepreneurs will be keynoting this world-class venue, with speaker announcements coming soon. Cardone is a highly respected, internationally recognized business and sales expert, whose passion is to teach others how to sell themselves, their products and services, regardless of economic climate. Additionally, his company consults Fortune 500 companies on how to increase sales revenue by identifying overlooked opportunities. He’ll be speaking at the conference himself and is tailoring the experience to be the biggest, most talked about event of the year. "You want to have proximity to power. Do you get more powerful with 3 days together with some of the greatest minds on the planet? It’s time to increase your revenue and connect to power. This is where to invest in yourself,” Cardone says. "The first 10X Growth Conference held in Miami this past March was a huge success, so we decided to make 2018 even bigger! This will be an incredible opportunity for those who are ready to make those resolutions and goals a reality to get face to face, hands-on help by the master," says Sheri Hamilton, COO Cardone Training Technologies.